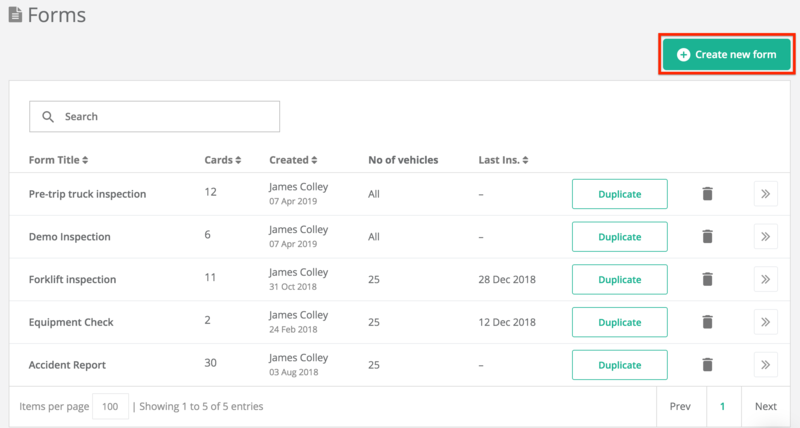 The Whip Around 'Forms' module enables you to create customized inspection forms for your drivers to use when inspecting vehicles and other assets. One of the features available to you is our list of template forms to help you speed up the form creation process. To create a new form you can access 'Forms' by logging in here. Click on 'Create new form'. You will be shown a number of different templates to choose from. Choose the template you wish to use and click 'Create'. Add a template form now!